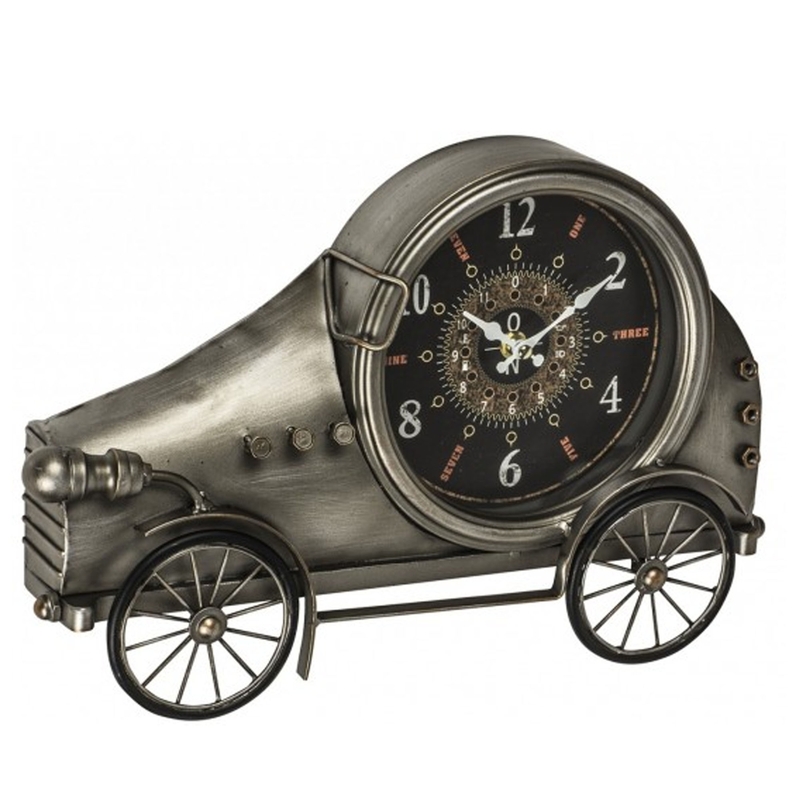 This is a stunning clock with a very unique car design. It looks very old fashioned, yet modern at the same time. it's certain to stand out because of it's magnificent design. It has a beautiful silver colour, with the actual clock having a mixture of black, red, gold and white colours.